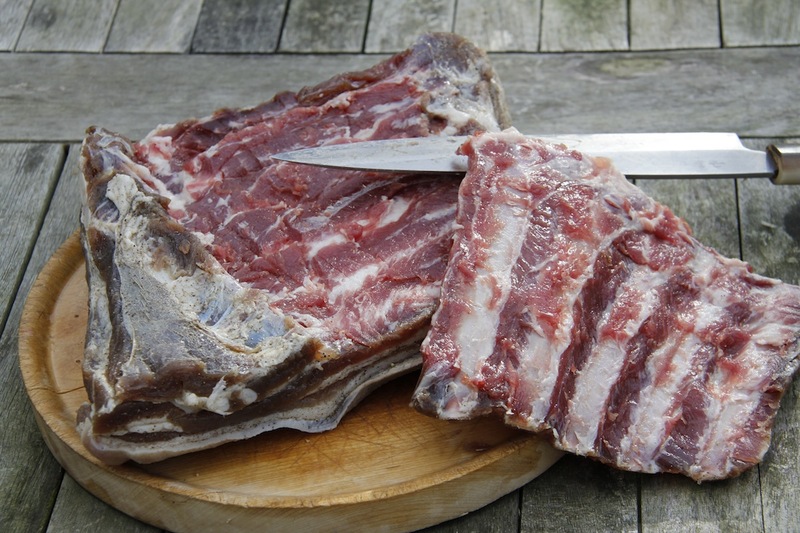 Back in October I started my new venture of curing our own home-grown meat. 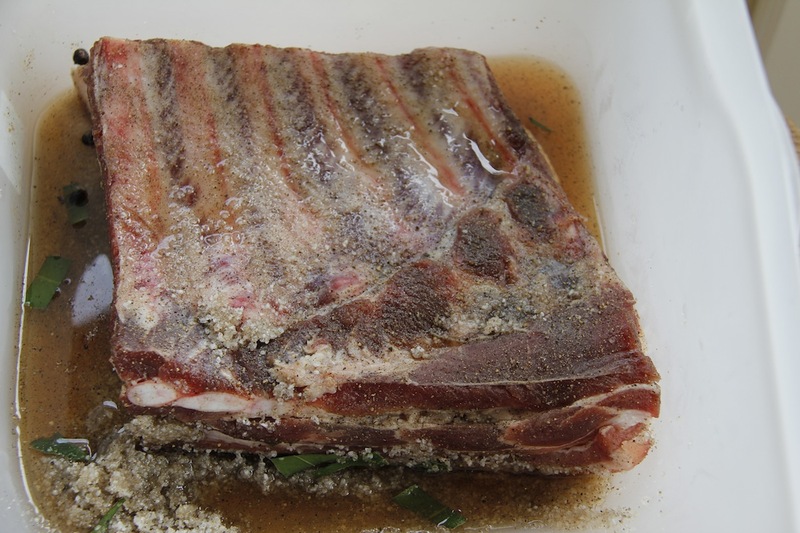 I started with bacon and pancetta – shall we say it has been quite a steep learning curve with some epic fails and some delicious successes? See here for details of the cure and the first stage of the process. Anyway, here is the update. 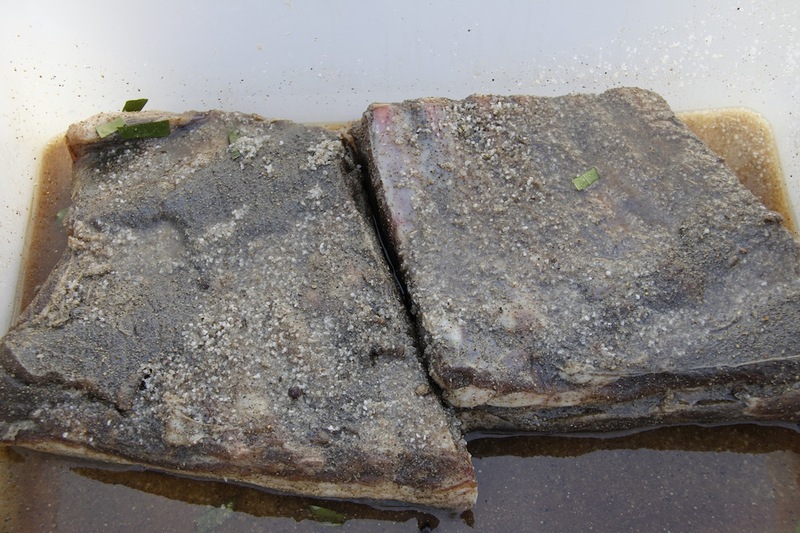 I kept the 2 pieces of streaky bacon in the cure for 5 days. I washed off the cure then boned one piece and left the other with the bone in. 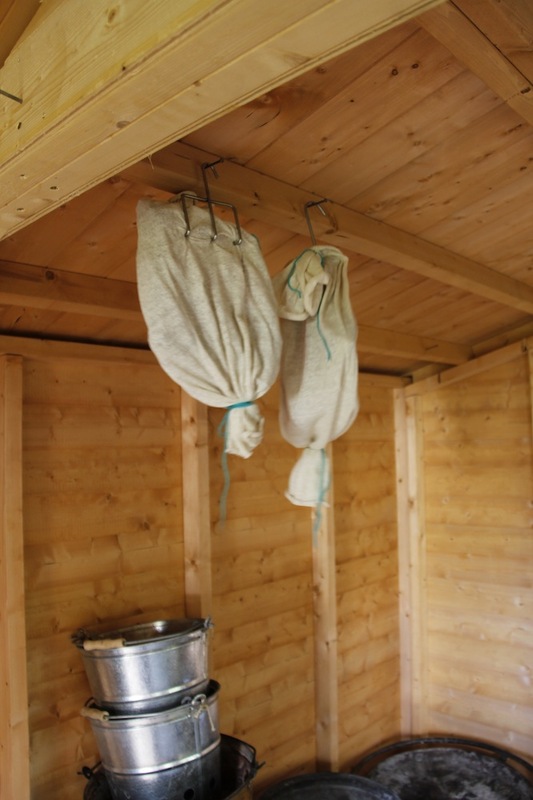 I hung both in some material I got from a butcher shop on line and hung them in the shed (not the shed – one of our sheds!). It would have been OK after 5 days but I left it a little longer as I wasn’t well and couldn’t face bacon! Unfortunately we have had a very warm autumn and there have been a lot of flies. 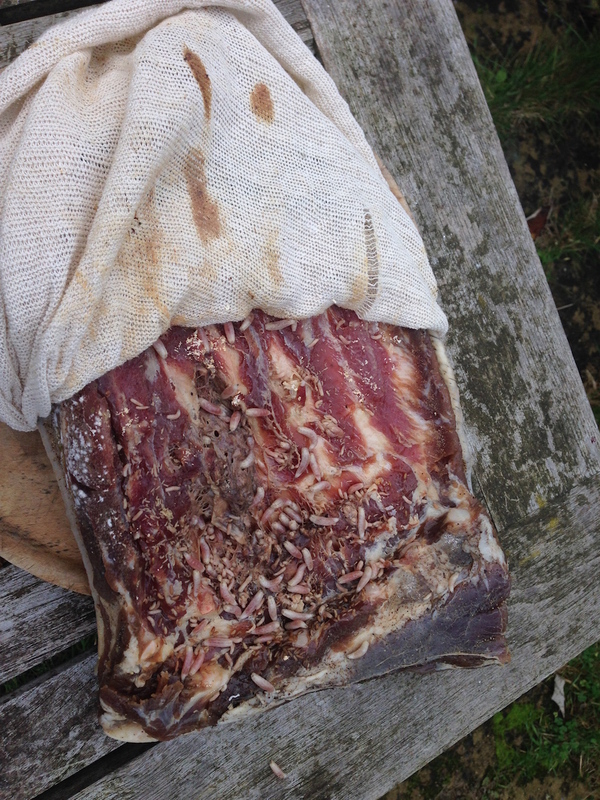 Even worse the fabric I used to enclose the curing meat had too loose a weave and patches of the material touched the bacon. This resulted in the major epic fail. Flies laid eggs and maggots emerged. A few maggots I could deal with – brush them off, wipe down with vinegar, make sure James doesn’t see – I should note this bacon is only for our own consumption. We are not set up to make bacon to sell you will be relieved to hear. There were millions of maggots of all different sizes. This piece of bacon was possibly beyond salvage, but more importunately I was mentally scarred, so in the bin it went. This gratuitous waste of meat really upset me, but not as much as a certain other event did – I will return to this at some point. The other piece of bacon was fine. I wiped it with malt vinegar and boned it. 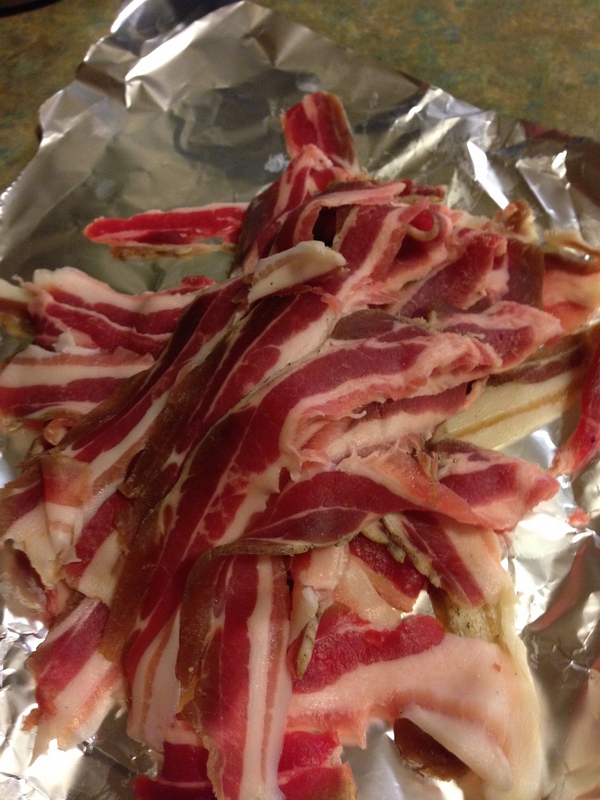 I then sliced it on my fabulous slicing machine – it looks like streaky bacon (insert excited shriek here). 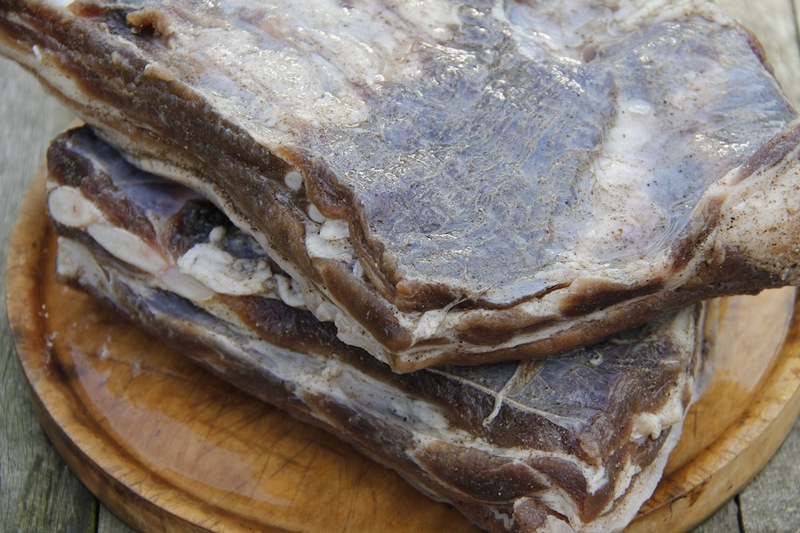 I have packaged up the slices and I cubed the end bits to fry up and put on salads and in soups/stews. I am gutted about the maggots – really, but not as much as the other thing. Trying to move on, but I might have to post about it …..